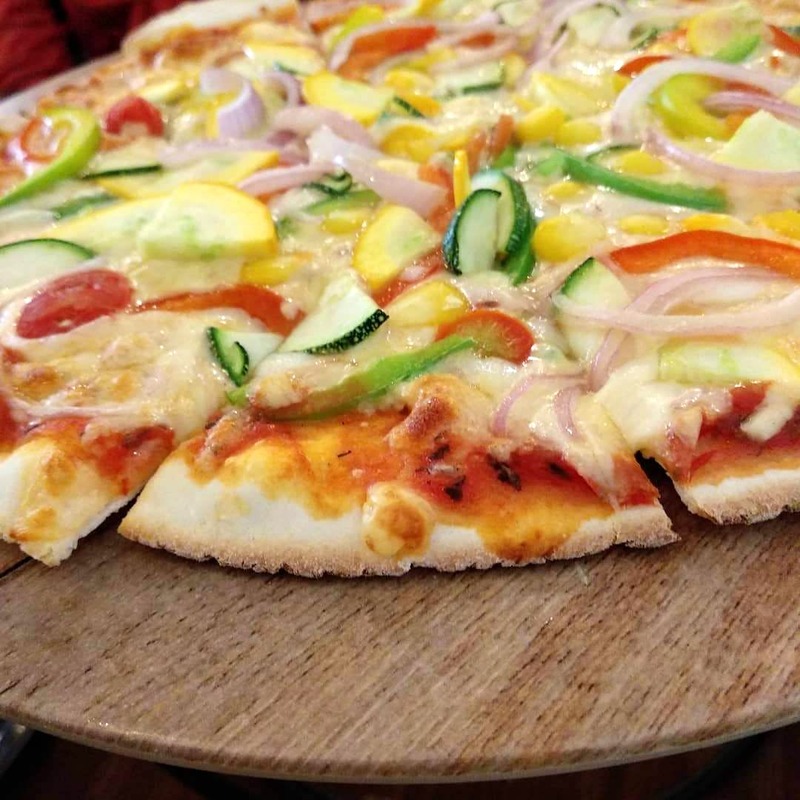 Chocolate Saturn To Stone Oven Pizzas, Newly Opened Quattro Has Delicious Food! It was the name that got us all intrigued and so we headed to Quattro on a Friday afternoon. The place was pretty full, with a pizza oven in one corner. The vegetarian restaurant has an extensive menu with specialties in Italian and Mexican food. You also get your regular pizza and some exotic desserts. We tried their creamy broccoli and cheese soup which was perfect to the T. From the classical Greek Salad to Caprese Di Quattro, Chilled melon And feta, there is a lot in their salad section. Ditch the usual bruschetta and go for something different like Risotto Palle which is a combination of signature risotto and cheese, served with chilli and pipettes. We also liked the Jalapeno Queso, which is batter-fried cheese and jalapeno. If you are going as a big group (just like us), we recommend their fondue that comes with bread and different veggies. Cheese lovers can dig into this one, guiltfree. Nachos lovers, such as myself went with the cheese nachos. But if you wish to be experimentative, try their DIY nachos - Tortilla, Beans, Cheese Sauce, etc. Potato in any form can steal our heart- French fries, nachos, Chipotle, Tex Mex, etc. Best thin crust pizzas in town? Quattros is most definitely getting into that list. Baked in a traditional stone oven, they use Italian tomatoes for that authentic taste. We tried their Fajita Pizza that comes loaded with both cheese and vegetables. Feather-light, the pizzas can disappear in no time form the plates. Check out other options like Burrito Pizza, Pesto, Siciliano, Fiama, Primavera, and Chipotle Cottage Cheese Pizza, and Al Funghi. Sizzlers and pasta options are also in plenty, Lasagne Fritta, Ravioli Rose, Gnocchi Paprika, Risotto options, Fried Avocado, Grilled Flautas, Burritos, there is a lot to choose from for the mains. But don't fill yourself up too much, the desserts are to die for. We tried their Chocolate Overload which finished off from our plates in no time. The icing on the cake was the Chocolate Saturn & Hot Chocolate Soup - a big round chocolate ball that melts in front of you and gives you a chocolate high! The restaurant is a tad bit too expensive. A meal for two will cost approximately INR 1,500. Burrito Pizza, Anyone? Mexican Meets Italian At This New Vegetarian Restaurant!